Package brought to you by Body-N-Home. 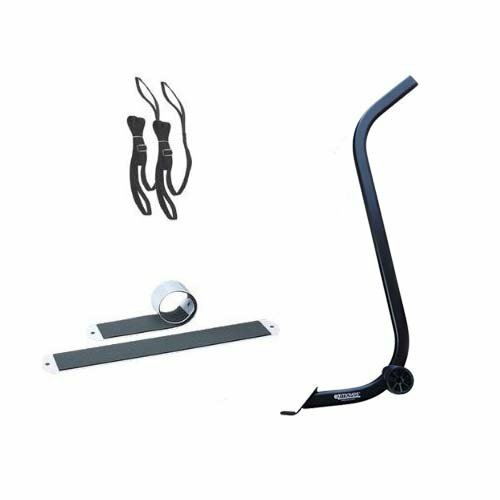 This is not the cheap "As Seen on TV" furniture lifter with skids. The skids are 48" x 7" EZ Moves and they come in a set of 4. Skids are capable of moving objects with out barely any lifting needed. The Pull Straps allow you to pull your furniture along the floor comfortably without any awkward pushing and shoving. 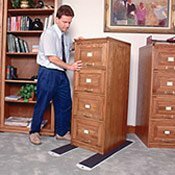 The PowerMaxx furniture lifter will allow you to lift furniture with one hand leaving the other free to place furniture skids, blocks or tabs under the legs. The furniture lifter is easy on your back, its heavy-duty design is built to last. This unit is great for rearranging furniture. Lifts up to 280lbs. The ultimate solution in easy furniture lifting. Package total includes 1 Power Maxfurniture lifter, a set of 2 pull straps, and a set of 2 Professional 4 foot funiture slides. Note: If you order this package, and get a "As Seen on TV" kit, you got taken, these are not "As Seen on TV" kits. If you get a furniture lifter that comes in two pieces and you have to put it together, or it shows up, and you can take the metal frame apart with push buttons, then you got the cheap, knock off. Our lifter is a "real" 25" EZ Lifter, and the frame is one sturdy piece, the frame does not come apart. 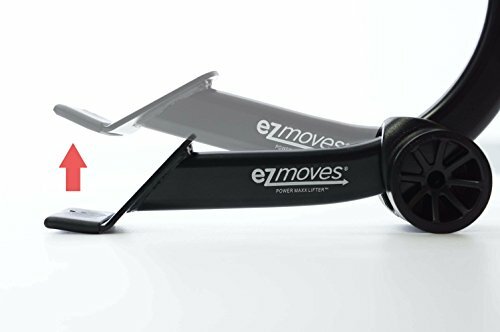 Who wants to lift valuables with something that comes apart, which is why we only sell the "REAL" EZ Moves. We want all buyers to be aware, and protected.